Baabdat also referred to as Baabdath by the locals is a small town that is located at a distance of 22 kilometers from Beirut City’s central district. It lies at an altitude of 1050m above sea level and is renowned for its pine forests. It serves as a peaceful haven from the fast and busy life of the popular coastal cities in Lebanon. Baabdat is a preferred destination among the summer tourists that mainly use this town as a base to visit Brummana, which is one of the most favored summer destinations in the entire of Lebanon. If you are thinking of visiting this quaint town anytime soon, we recommend that you hire a car from a good car rental service in Lebanon. The beautiful town of Baabdat gets its name from Aramaic “beit abdulha” which literally means the abode of the adored. According to historical records, Baabdat was named thus because of the presence of the ancient Phoenician as well as the Greek and Roman temples found here. Hire a car from a reputable car rental company to drive around Baabdat or to enjoy the beautiful vista offered by the Kneisseh Mountains which are a part of the Mt. Lebanon. When it comes to traveling across Baabdat or any other place in Lebanon, Car Rental Lebanon is the choice that everyone counts on. 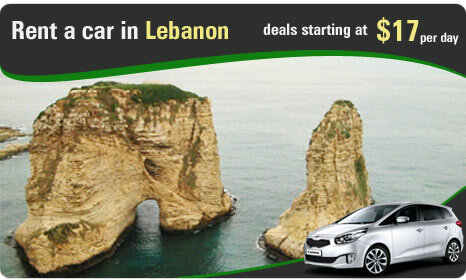 When you opt for the services of the Car Rental Lebanon you can expect to receive the best deals on car hire at a price that can be matched by very few other car rental companies. What is more is that you also have the option to pick up your car from a destination of your choice.